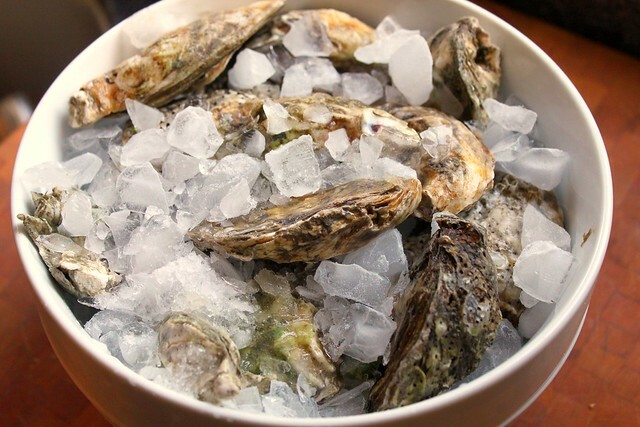 Kitchen Snaps: Raw Oysters ~ Gone Fishin' ~ Be Back Soon! Sometime in the 70's I entered an oyster eating contest. You paid $3 and got 3 dozen oysters. I had no desire to win, I just wanted cheap oysters. What a scam - what fun! Enjoy your time away. We will be here when you return. YAY!! Breaks area always so well deserved! Enjoy!! Beautiful oysters. 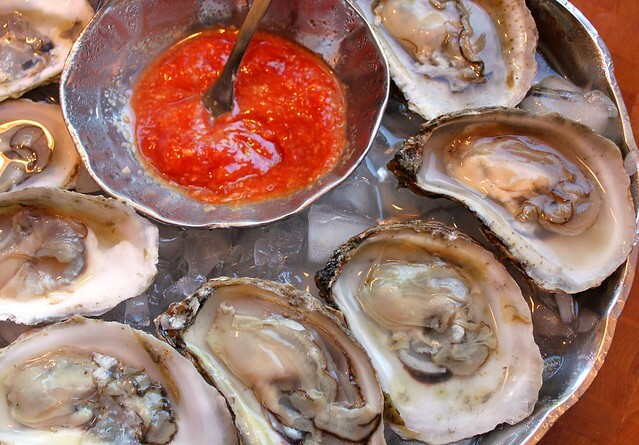 ♥ raw oysters. Have fun! Yum, raw oysters. That sauce looks fantastic too. I hope you really have gone fish in'- it's so relaxing and peaceful out on the water. Plus I know you'll come back with great stories!